Nanowrimo/29 — Winning the purple bar! xxoo! “Dreamstime” 2011 — YAY! Proud to show you this! I am very proud of the novel and its crux. I must admit that this was one of the toughest pov’s I have ever written in. But I am very proud of the crux which is my usual crux, LOVE HEALS! Will be going back over to edit it and says to self — that is three! Three books I have written. The first “Gardenias” is a collection of the literary erotica short stories that I wrote for Cleansheets and ERWA and I am going to self-publish that soon. I have a piece going up in the Holiday galleries there called Flowering and I’ll give you the link when it’s up next month. Heart of Clouds, I wrote in Nanowrimo 2009 — that is a children’s book about coming of age and a first kiss. 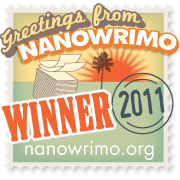 Dreamstime, Nanowrimo 2011 is a morality tale about love. I haven’t looked back at it yet. Going to give myself a little break. So proud of the finish though, because it will give the reader hope, like Heart of Clouds did. Here is the end, from today! There might come a time when you feel like all your dreams have ended. There might come a time when you feel like all your assets are gone. It’s at this time I want you to look the deepest into your own heart. I want you to look for the candle that your ancestors left you. I want you to see the little flame that is inside you. You’ll stoke that candle, breathing all of your inner light around it. The carrion will be outside, the vultures waiting, and you will stand there on your own two feet, watching them. They are going to try and take everything from you, but you aren’t going to let them. You’re going to find the light that glances off the leaves as I did. Dreams are something no one can take from you. I took the candle of a Christmas dream to a man who was sitting alone at a table once. I used the tiny flame in my heart to light something in his. It was enough to sustain the two of us that year, that particular Christmas when the world didn’t seem as bleak yet. He was alone in the dark and my heart found him. My heart sailed out to meet him like a kite. damn am I happy! I won Nanowrimo! plus I got my halo, and not only that I had a sponsor in an old friend from the newspaper biz at my donations page! All in all we got $75 together for The Office of Letters and Light! That alone makes me feel like a winner because this is one of the very best things in the world — this writing place in the month of November. I hope to be able to be with them every year this month, no kidding! 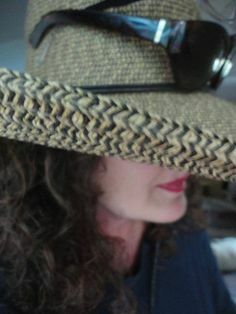 Posted in literary fiction, love, novel, stories about love, stories of humanism, writing. Tagged 2011, Dreamstime, NaNoWriMo, novel, winner. Next: Next post: Myself post-nanowrimo!